Mechanical “first aid” for minor roadside repairs or adjustments. 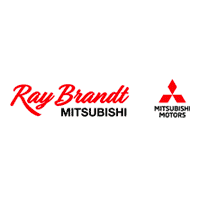 In the event your vehicle is disabled due to a warrantable condition, and you are more than 150 miles from home and the vehicle has to be kept overnight for repairs, Mitsubishi’s Roadside Assistance Plan will reimburse for reasonable documented expenses for meals, lodging and transportation up to $175.00 per day for a maximum of three days. To be eligible for this benefit, you must obtain prior authorization from the Roadside Assistance Provider. Explore the following links for Roadside Assistance details that are relevant to your Mitsubishi’s model year. 2 Manufacturer’s Suggested Retail Price for 2018 Eclipse Cross ES 2WD is $23,295. Excludes destination/handling, tax, title, license etc. Retailer price, terms and vehicle availability may vary. See your Mitsubishi retailer for details.